When Valve introduced paid mods in 2015, people were not impressed. There were complaints about stolen work and how people would profit from other people’s resources. There were debates about how the modding community would become too corporatized if mods went from a hobby to a career. And with worries online about price gauging and horse armour, the general reception was highly negative. So much so in fact that the whole concept was dropped in four days. It was that unpopular. You want to have efficient ways so that the people who are actually creating value are the people that money is flowing to. As you can see, it’s a pretty clear comment about paid mods being a possibility in future. It’s not 100% blatant, but you can definitely see where they’re going here. Either way, the reaction online… has not been positive. Oh no. You’ve got people on Voat literally tearing the statement apart. 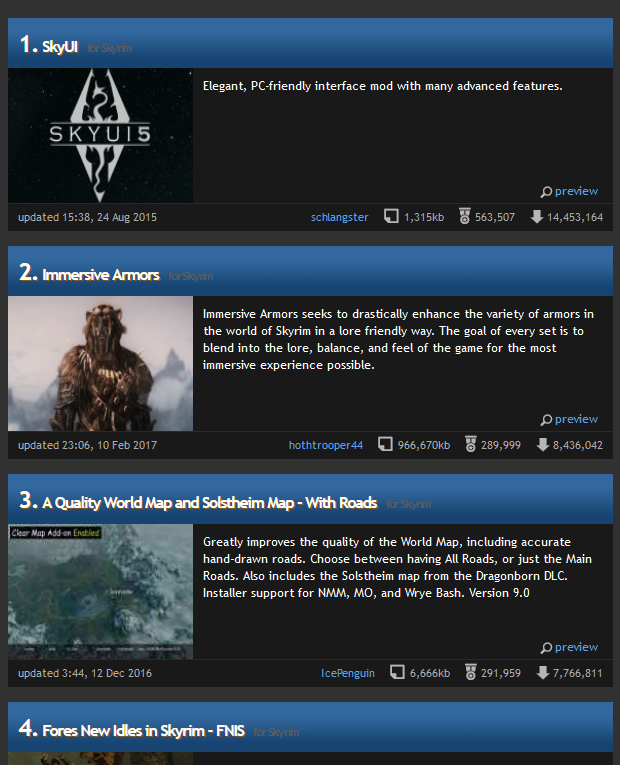 The population of the Elder Scrolls modding subreddit think of it as a terrible idea. And well, many other sites and comment sections are not best pleased here either. So why is this? Why are people so negative about the idea of paid mods? Well for the most part, it’s the same reasoning as last time. It takes modding away from a community pastime to a pay to play business. In other words, it makes it so the average modder is less likely to give out their work for free (aka to help the community) and more likely to become part of a corporation or collective charging money for every little thing. It also opens a big cans of words in regards to mod compatibility. Why? Because mods are not really designed to work with other mods. They can (and sometimes they do), but they’re not really intended for that. Each mod is designed with the assumption the original vanilla game is being used and that it’s own changes will work standalone. That’s fine for a free product used at your own risk. If things don’t work out, just revert to the normal version of the game without losing anything. Nothing lost and nothing gained. But for paid mods? That’s not the case. Instead, there’s the assumption (by the user) that by paying for a product, they expect support for said product. That the two $20 mods they bought are both going to work alongside each other. And as any person with any experience in the mod world knows, that’s impossible. I mean, imagine two massive mods that overhaul the whole game and story. You physically can’t get them working together. They edit the exact same stuff. Same with multiple mods for characters, multiple mods for certain physics, etc. Basically, it becomes a support nightmare. Add the inevitable copyright/trademark violation mods (like those that turn the Elder Scrolls series into a Lord of the Rings adaptation, Batman Doom, etc) and paid mods become a very complicated situation that needs careful planning in order to not spiral out of control. That said, I don’t mind if Valve does implement them. The core concept has its positives (like rewarding people for their work and incentivising more people to develop mods for games). And as a concept, paid mods are inevitable to some degree. It will happen one day, whether we like it or not. I just hope Valve had done their homework and planned it out properly this time around. And that everyone’s fears of community change, legal issues and support nightmares turn out to be irrelevant in the long run. But hey, what do you think? Do you like the idea of paid mods making a comeback? Or do you think this idea has too many issues to work out well?